“We live in a volatile region where there are many security problems. It is our wish to continue to engage in dialogue [with other actors] in the region,” Silanyo noted. He visited Turkey in mid-March to participate in talks with Turkish officials, including Foreign Minister Ahmet Davutoğlu, who pledged to increase Turkish aid to Somaliland. Although it lacks international recognition, Somaliland enjoys a degree of governance, security and economic development absent in the broader Somalia, from which it declared independence in 1991. Somalia's troubles result from a 22-year-long civil war in the country, which began in 1991 when a coalition of clan-based armed opposition groups ousted the nation's long-standing military government. Somaliland has been an environment of relative peace amid the civil war in Somalia. Turkey has hosted the latest round of facilitation talks between the Somali and Somaliland governments as part of efforts to negotiate Somaliland's status. Somaliland is seeking international recognition as a separate country, while Somalia envisions a unified country including the territory. The Somaliland president commended Turkey's active role in the region as a whole in addition to the developments in Somalia and Somaliland. “Turkey is establishing many programs that are useful to the region as a whole. We express our deep appreciation to Turkey for its constructive role in the region,” Silanyo maintained. 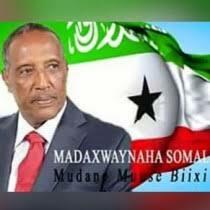 The Somaliland president stated that his country has been described in international circles as an encouraging oasis of peace in the Horn of Africa for its stability and welcoming environment for investment. “Our territory has tremendous potential in many areas, including agriculture, infrastructure construction and many others. We also have rich mineral resources, including oil,” Silanyo said, discussing investment opportunities. Turkish companies have begun to initiate economic projects in the territory. Last December, Turkish oil giant Genel Energy PLC purchased a license to explore for oil in Somaliland.